Infinity Hall, 32 Front Street in Hartford, presents David Bromberg in concert Thursday Oct 23 at 8 p.m. Bromberg, who plays guitar and mandolin plus sings in a earnest style, has been playing blues, folk, country, rock - Americana is the best overall genre - since the late 1960s, working with Jerry Jeff Walker, Bob Dylan and so many more. After some time off the trail, Bromberg returned in 2011 with a great recording for the Appleseed Recordings label titled "Use Me" and now is touring in support of "Only Slightly Mad", a fine collection that opens with a raucous, rocking, version of "Nobody's Fault But Mine" - the piece features some nasty slide guitar. Joining will be the CD producer Larry Campbell, a master of many stringed instruments plus local folk artist Eric Michael Lichter. For ticket information, go to www.infinityhall.com or call 866-666-6306. The Hartford Jazz Society presents saxophonist J.D. Allen and his Quartet in concert Friday 10/24 at 7 p.m. in Polish National Home, 60 Asylum Avenue in Hartford. Since 2008, the Detroit native has released 6 CDs, 4 on Sunnyside Records with his fine Trio and the most recent 2 with his new Quartet (the latest, "Bloom", was issued several months ago on the Savant label.) 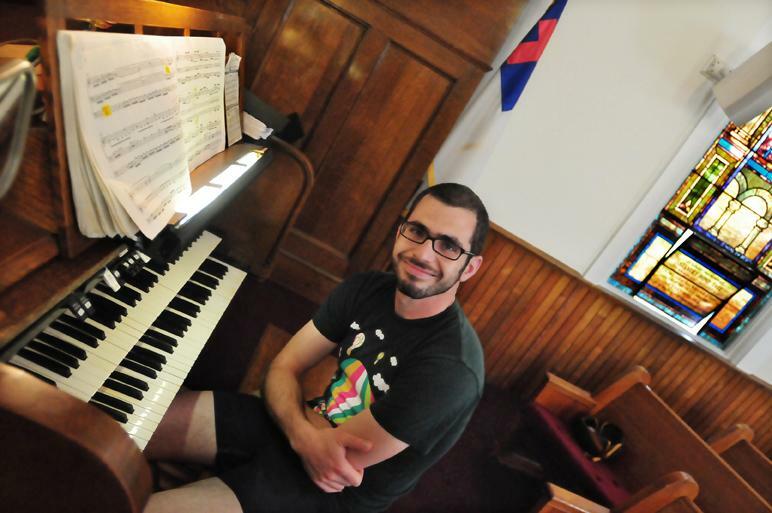 Joining him will be pianist Victor Gould, bassist Alexander Claffy and drummer Jonathan Barber (a native of Hartford). To his credit, Allen has carved his own sound in a crowded field of saxophonists with his focus on melody and short yet rich solos. Opening the show will be the East Catholic High School Jazz Ensemble. 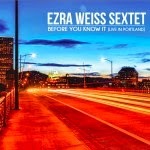 For ticket information, go to www.hartfordjazzsociety.com or Integrity 'N' Music in Wethersfield. Busy weekend at The Side Door Jazz Club in Old Lyme. On Friday, the young tenor saxophonist Chelsea Baratz comes to the club; recommended by pianist Orrin Evans, the Pittsburgh native has been gathering fans with her fine musicianship since first arriving on the scene a mere 4 years ago. Her debut CD, "In Faith", came about in 2011 and is a pleasing blend of jazz, funk and r'n'b. Her bands includes Eric Wheeler (bass), Joe Blaxx (drums) and Warren Fields (keyboards). Doors open at 7:30 p.m. and the first set commences at 8:30. Go to thesidedoorjazz.com for ticket information or call 860-434-0886. 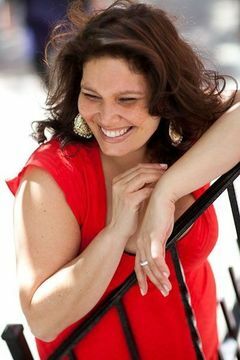 On Saturday, Jan and Ken welcome vocalist Marianne Solivan for 2 sets of contemporary music. Ms. Solivan is certainly a citizen of the world, having lived in Venezuela, and New Jersey before sending her high school years in Massachusetts. After studying at the New England Conservatory of music in Boston, she began working with musicians like Roy Hargrove and clarinetist Daryl Harper. Her second album as a leader, "Spark", was issued in September on HiPNOTIC Records. Self-produced, the recording is a splendid blend of standards and originals, with Ms. Solivan's handsome vocals framed by the piano of Xavier Davis, basis Matthew Parish and drummer Gregory Hutchinson. For her Old Lyme gig, she's bringing pianist John Chin, bassist Neal Caine and drummer Montez Coleman. The first set starts at 8:30 p.m. Check the website and/or number above for ticket information. Firehouse 12, 45 Crown Street in New Haven, continues its classy Fall 2014 Concert Series this Friday evening with The Wee Trio. 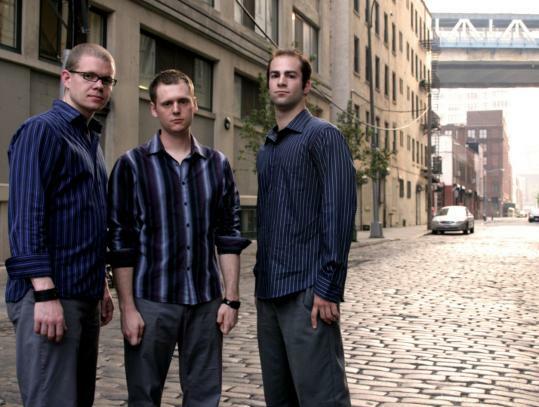 Composed of Dan Loomis (bass), Jared Schonig (drums) and James Westfall (vibraphone), the ensemble came together 6 years ago in Brooklyn, playing (mostly) original music built upon one of the better rhythm sections in creative music. They released 4 CDs, the most recent being 2013's "Live at The Bistro" released on the group's Bionic Records. Loomis has worked with T.S. Monk, the David Bixler Quintet and, most notably, with drummer Ernesto Cervini's Quartet. Schonig also is a busy player, working with Tyler Blanton, Erika Von Kleist and powering the Nathan Parker Smith Large Ensemble. Together, The Wee Trio rocks, swings and struts with the best of them. They'll play 2 sets - 8:30 and 10 p.m. - for more information, go to firehouse12.com or call 203-785-0468. The Yale School of Music/Ellington Music Series presents the great bassist Ron Carter and his equally talented Trio at Morse Recital Hall, located in Sprague Hall at 470 College Street (corner of Wall Street), New Haven. Carter was a member of the legendary Miles Davis Quintet from 1963-69, creating many memorable rhythms alongside drummer Tony Williams. He's also played on over 2,500 recordings in a career that has spanned 50+ years. Joining him will be guitarist Russell Malone and pianist Donald Vega. Expect the music to have a deep groove, to swing with grace and to be filled with melodies. For ticket information, go to music.yale.edu or call 203-432-4158. The monthly "Improvisations" series at Real Art Ways, 56 Arbor Street in Hartford, continues this coming Sunday (10/26) with a 3-way conversation featuring series curators Stephen Haynes (cornets, trumpets), Joe Morris (guitar, bass) and their guest, vibraphonist Bryan Carrott. Mr. Carrott has worked with Ralph Peterson, Gunther Schuller, David "Fathead" Newman, and in the Broadway production of "The Lion King." He is truly a "mallet master". It's a an early show - 3 p.m. - for more information and tickets, go to www.realartways.org/livearts.htm#Improvisations or www.facebook.com/events/767506246638548/. Here's a unique twist on the piano trio genre - the Parker Abbott Trio, composed on pianists Teri Parker and Simeon Abbott plus drummer Mark Seeger, has a new CD, "The Wayfinders" (self-released) that blends acoustic and electric pianos as well as synthesizers into a pleasing musical experience. The pianists have been working throughout Canada for the past several years, recording a duo CD in 2010 that experimented with different styles of music on different keyboards. Adding a drummer has focussed their attention on melodies and structure, creating a sound that veers closer to progressive rock than jazz. The blend of synths, keys and a skid backbeat propels the opening track "Nature Speaks", sounding not unlike Elton John meets Andy Partridge (XTC). The Rhodes and drums set a funky and mysterious pace on "Coral Castle" while "Companions" would not sound out of place with words or vocals by Peter Gabriel. The Wurlitzer sound on "Circus Piece" creates a spooky ambiance, heightened by the rhythm moving in and out of waltz time. The longest cut, at 7+ minutes, "With Robots We Live Forever" has moments that remind this listener of Rush (the chord changes and the driving rhythms at the beginning and near the end. 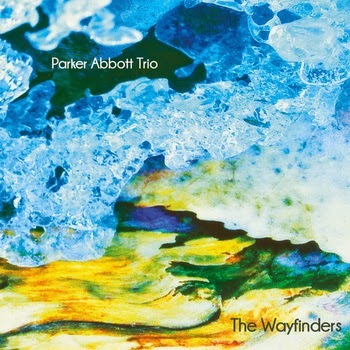 The sounds created by the Parker Abbott Trio on "The Wayfinders" probably won't attract many straight-ahead jazz fans but this is no "New-Age" musical fantasy. There are stories inside these songs, carried by the finely-crafted melodies, heightened by the interactions of the two keyboardists and booted by the contributions of drummer Seeger. Throw away your expectations and just listen - you will find much to like in this piano trio. For more information, and to listen to all the tracks go to parkerabbott.ca. After a 3-gig weekend last week, The Side Door Jazz Club in Old Lyme has only 1 show this week but it's a good one. On Friday, Jan and Ken welcome the duo of Steve Wilson (alto saxophone) and Lewis Nash (drums) - their new CD "Duologue" (Manchester Craftsmen's Guild) is a joyous blend of classic works by Duke Ellington, Thelonious Monk, Thomas "Fats" Waller and others plus several fine originals (my review is here). They've been friend and occasional bandmates for many years and a performing duo since 2001. Wilson has the sweetest tone on alto, unlike the broader, bluesier, tones of Johnny Hodges, David Sanborn or Arthur Blythe. Nash has played with many groups and artists over his career, from Joe Lovano to the late Mulgrew Miller. Together, they are just a delight! This should be quite an evening of music. Doors open at 7:30 p.m. and the music starts at 8:30. For ticket information, call 860-434-0886 or go to thesidedoorjazz.com. Guitarist/composer Sinan Bakir comes to Middletown this Friday night - he'll bring his Trio to Scatz Restaurant & Lounge, 139 Main Street Extension, for an evening of solid melodies and exciting improvisations. Joining him will long-time bassist Matt Dwonszyk and Middletown-native Mike Augeri (drums). Though Bakir is well-versed in standards, his original music is also very impressive as are his fleet-fingered improvisations. Scatz is bringing in some impressive bands and audiences are learning just how good the food is as well. Music starts at 8 p.m. For more information and reservations, call 860-347-2289. Firehouse 12, 45 Crown Street in New Haven, presents Mike Pride's From Bacteria to Boys, the drummer's latest project that blends hard-bop, post-bop, punk and other styles of music into a wondrous mash of sounds. Drummer/composer Pride, who has worked with guitarists Joe Morris and Mary Halvorson as well as saxophonist Matana Roberts, leads a quartet that features saxophonist Jon Irabagon, pianist Alexis Marcelo and bassist Peter Bitenc. That's the group performing on Pride's 2013 AUM Fidelity CD, "Birthing Days." They'll play 2 sets this Friday evening - 8:30 and 10 p.m. - for more information and reservations, go to firehouse12.com or call 203-785-0468. To learn more about the group, go to mikepride.com. On Saturday October 18, the Jazz Samaritan Alliance perform at 8 p.m. in the Asylum Hill Congregational Church, 814 Asylum Avenue in Hartford. The show is part of the Jack and Edie Murphy Music for Humanity concert series. The JSA, an organization of musicians committed to creating and performing socially-conscious original music, features the talents of Noah Baerman (piano), Jimmy Greene (tenor and soprano saxophones) and Kris Allen (alto saxophone) - joining them for this show will be vibraphonist Chris Dingman and the great New York City-based drummer Rudy Royston. Tickets are $25 per person and every penny raised will be donated to Foodshare of Greater Hartford (find out more about them at www.foodshare.org.) This will be an evening of great music made by fine people for a really important cause. For tickets and more information, go to www.ahcc.org/event/3652 or call Mary Way at 860-278-0785. Saxophonist/composer Tara Davidson, a member of the highly-active Toronto, Canada, jazz scene, has just issued her 4th CD as a leader. "Duets" (Addo Records) finds her sharing the aural space with 6 partners, ranging from long-time associates Mike Murley (tenor sax) and David Braid (piano), with whom she shared the bandstand in the DMBQ, plus good friends and/or band members Trevor Hogg (tenor sax), Andrew Downing (bass, cello), David Occhipinti (guitar) and Laila Baili (piano). All 13 tracks are originals (either by Ms. Davidson or her collaborators) and range from the intimate to the expansive. Braid, the only musician who appears more than twice (the opening 2 cuts as well as the closer), is an impressive composer and forceful musician. His pieces "Lele Tune, Parts 1 and 2", are built off a strong melody and the duo build up quite a head of steam on both performances. Ms. Davidson's alto sax sound is vibrato-free with articulate notes but she can also play with fire. With Murley (who was her first saxophone teacher and first duet partner), they create the sweet boppish "130 E. 39th St.", sharing lines and supporting each other while the tenor player's original "Sheep Walking" may remind some of the duets of Oliver Lake and Julius Hemphill (the more straight-ahead pieces). Guitarist Occhipinti, who has recorded 2 duo CDs with Murley, creates a spacious musical landscape on "Silver Skates", allowing Ms. Davidson's intricately crafted soprano saxophone lines to rise above his chordal accompaniment. He also appears on Ms. Davidson's "Murphy's Law", a faster piece that finds the musicians supporting each other, moving in and around each other's lines and responding to the energy each gives out. Tenor saxophonist Hogg, who was a classmate of Ms. Davidson at the University of Toronto and a duet partner ever since, meshes his sound with the alto sax on the delightful medium-tempo boppish piece "Train to Tarrytown" and contributes the more forceful yet still sweet "The Neigh-Sayers". Downing, the bassist in Ms. Davidson nonet, plays cello on his "Kontrbas Semaisi", a lovely piece in which he plucks his instrument in the style of Oscar Pettiford and Abdul Wadud. The melody is one of the prettiest on the CD, having a folky edge and allowing for the rippling alto lines to cascade down over the cello. He plays bass on Ms. Davidson's "The Halyconian Years", also a ballad with a bass line that may remind some of the late Charlie Haden and how he interacted with Ornette Coleman and Jan Garbarek. Pianist and vocalist (she does not sing here) Laila Baili plays on 2 of the more introspective tracks. Her descending chords and impressionistic figures opens "For Glenda" - when the full piano chords begin in the background background (sounding not unlike Gary Brooker's work with Procol Harum), the soprano sax enters with the wistful then soulful melody. Ms. Davidson stays on soprano for their second collaboration, Ms. Biali's "The Good Earth", a composition that has the feel of both Bruce Hornsby and Art Lande (especially his duo with Jan Garbarek on "Red Lanta"). The rousing middle and closing sections are, at times, glorious and emotionally satisfying. By the time one reaches the final track, Braid's "Colebourn M.D. ", another handsome ballad with fine interplay between the alto sax and piano, you understand how good music can come from good friendships, from the trust that is built from years of playing, experimenting, having fun discovering how far each other is willing and able to go, or just relaxing playing a simple melody. 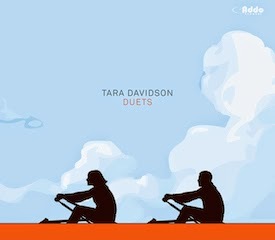 Tara Davidson is a lucky musician to have colleagues who are friends and collaborators, ready to head into the known or unknown. "Duets" is delightful, bright, audacious and emotionally honest. For more information, go to taradavidson.ca. Tenor saxophonist Jerome Sabbagh, a native of Paris, France, and a resident of New York City for nearly 2 decades, has worked with his quartet of Ben Monder (guitar), Joe Martin (bass) and Ted Poor (drums) for a decade. "The Turn" (Sunnyside) is the ensemble's 3rd release and first since 2007. The material the saxophonist writes for his partners not only emphasizes their individual strengths but also how well they work together. The rhythm section is quite supportive while Monder is a great accompanist, knowing when to hold back and when to let loose (and he certainly can wail). On initial listens, ballads such as "Long Gone", "The Ascent", and Paul Motian's "Once Around the Park" (the only piece not composed by the leader) stand out. Poor's drumming is quite active yet never intrusive while Martin, who is known for his steady hands on bass, fills out the bottom. Sabbagh lets the songs breathe, not rushing into solos, giving Monder plenty of room to say his piece. The guitarist's quiet solo on "The Ascent" is melodic and tasteful while his active chordal work behind the saxophone is splendid. Monder also displays his ability to rip off forceful solos as he does on the title track and "Banshee", the latter blazing atop the fiery drum and cymbal work of Poor. His "shredding" solo enlivens the lengthy "Cult", wailing in Hendrix-like fashion over the strumming bass and thrashing drums. And there are surprises along the way. "The Rodeo" is a blues shuffle, replete with an insistent swing from the rhythm section while the front line digs in for some fun - Monder's tasteful comping and understated solo match the laconic style of Sabbagh. The leader is not one to waste notes; he never overplays his hand. His sound is fairly cool, at times mellow (not unlike the alto sax sound of Lee Konitz), his approach unhurried throughout the set. His tasty solo on "Long Gone" grows out of the handsome melody while he seems to hold back on "Cult", playing short lines that seem to melt into the rhythm section. One gets the idea Sabbagh likes to compose for this band because the vast majority of the melodies are well constructed. "Electric Sun" closes the program, a piece with a "rock" feel coming from the powerful yet steady drumming and a "country" feel from Monder. Meanwhile, the saxophonist builds his solo logically from the melody, his phrases opening up and getting longer as he moves forward. "The Turn" is not designed to blow you away; it's more like a shaft of sunlight on a cloudy day, a cheery note from a friend, a welcome respite from the craziness of the outside world. Yes, there are frenzied moments but Jerome Sabbagh keeps his emotions in check throughout and the music shines. For more information, go to www.jeromesabbagh.com. "Dark Nights" is the 3rd recording by Avisahi Cohen's Triveni, the trumpeter's trio with bassist Omer Avital and drummer Nasheet Waits. The ensemble's first 2 CDs were recorded on the same day but released 18 months apart. Since that time, Cohen has toured with his sister Anat and brother Yuval in the 3 Cohens plus spent several seasons with the SF Jazz Collective and is now a member of Mark Turner's Quartet. His trumpet work has continued to develop to the point where his tone and ideas stand out among his contemporaries. 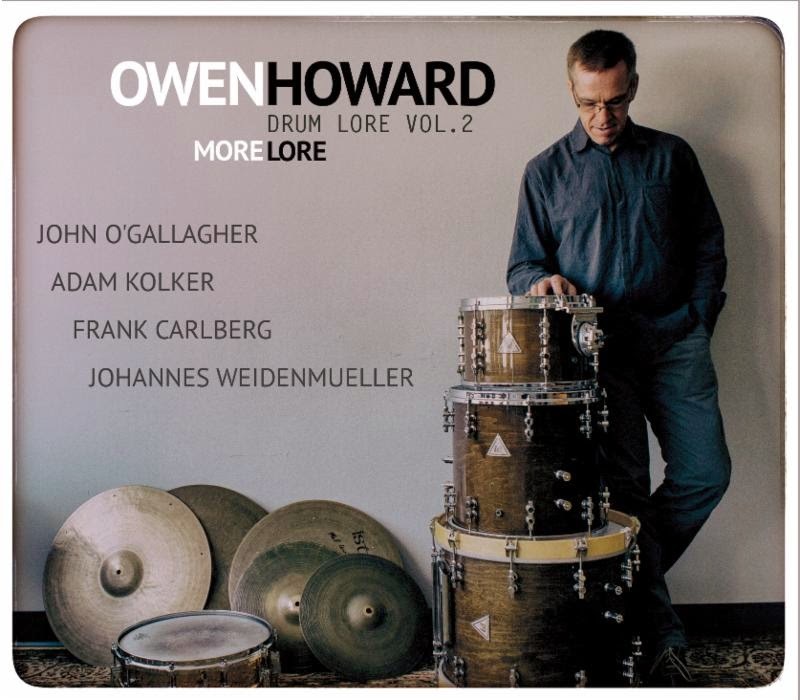 The new CD includes more of the great Trio interplay - the rhythm section's work is impeccable, supportive and creative. The first sounds one hears on the opening track "Dark Nights, Darker Days" (one of 6 Cohen originals) is the forceful drums and thrumming bass. For this recording, Cohen uses electronic effects on several cuts, added spontaneously right after the completed take. There are moments on this track (and others) where the effects sound guitar-like, especially the Jimi Hendrix-like "wah-wahs". The effects return on "Betray", the first of 2 appearances of sister Anat on clarinet. This bluesy track allows everyone to get "down-and-dirty", with a melody and mood similar to that of John Lennon's "Happiness is a Warm Gun." Gerald Clayton makes the group a quintet on "Old Soul", another atmospheric ballad where the clarinet and trumpet now interact with Clayton's electric piano work. The pianist sticks around, on acoustic piano this time, to support the trumpeter and guest vocalist Keren Ann on the closing track, "I Fall In Love Too Easily" - the rippling piano lines, the muted trumpet, and the gentle, limpid, vocal make for a gentle experience. Elsewhere, the trio gives adventurous readings to "Goodbye Pork Pie Hat" and "Lush Life", the latter having a "free" feel at times while the former rises and falls on the forceful bass work of Avital and the glorious brush work of Waits. 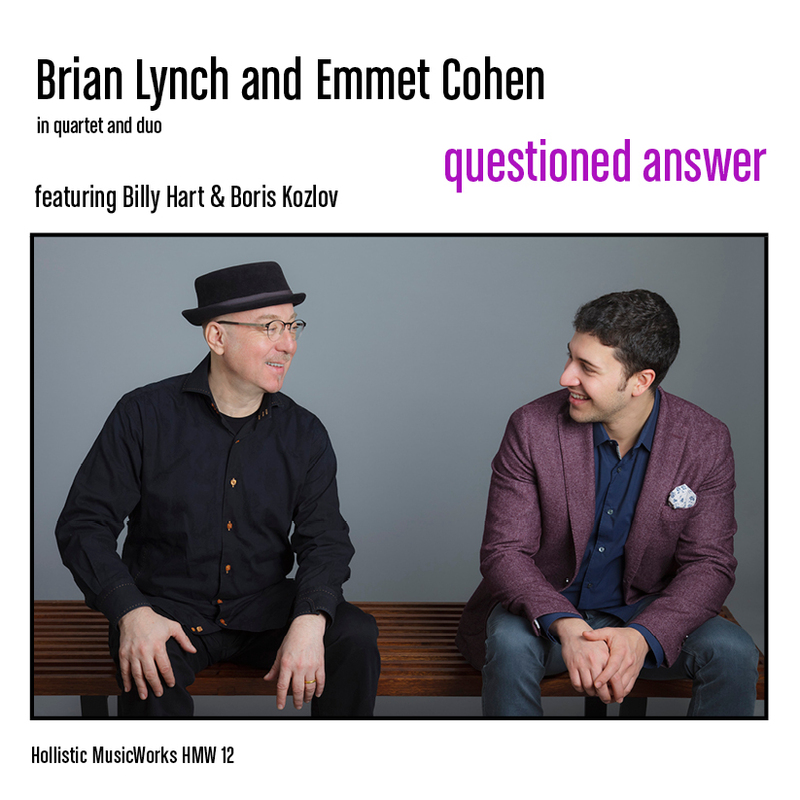 Cohen and company have fun with Frank Foster's "Shiny Stockings", a piece that the trumpeter first played as a young man in Israel in a big band setting. This track plus the Cohen originals "The OC" (dedicated to Ornette Coleman) and "Pablo" are the most playful tunes on the program; the lighter feel (still played with great energy) of these cuts serve as pleasing counterpoint to the blues and darker moods of the other tracks. "Dark Nights", recorded in one room with no separation of the musicians, is yet another powerful entry in Avishai Cohen's growing discography. With his longtime partner Omer Avital (they worked together many years in Third World Love and on several of the bassist's solo projects) and new-found accomplice Nasheet Waits, the trumpeter makes music that reverberates in one's heart and soul, making the listener return many times to the deep, soulful, experience. For more information, go to www.avishaicohenmusic.com. It's hard to believe that "The Great City" (Anzic Records) is the debut record for vocalist Hilary Gardner. She grew up in Wasilla, Alaska, (former home of Sarah Palin) and since moving to New York City in 2003, has worked with Moby and Twyla Tharp. For the choreographer's tribute to Frank Sinatra "Come Fly Away", Ms. Gardner appeared on stage backed by a 19-piece band and sang numerous songs in duet with the recorded Sinatra. Currently, she is 1/3rd of the vocal trio Duchess working with Amy Cervini and Melissa Stylianou. For her album (produced by Eli Wolf who has worked with Robert Glasper and Joe Lovano), she sings atop the fine rhythm section of Ehud Asherie (piano), Randy Napoleon (guitar, arranger on 4 tracks), Elias Bailey (bass) and Jerome Jennings (drums) plus guests including Jon Cowherd (Hammond C-3 organ), Tatum Greenblatt (trumpet), and Jason Marshall (tenor saxophone). Her repertoire, all songs dedicated to New York City, ranges from Leonard Cohen to Tom Waits to Johnny Mercer to Sammy Cahn to Joni Mitchell and more. There's a sweet version of Vernon Duke's oft-recorded "Autumn in New York" arranged by Napoleon whose backing works jells nicely with Asherie's quiet backing. Cowherd's organ and Marshall's Lester Young-like sax lines frame Ms. Gardner's handsome take of Waits' "Drunk On the Moon." Greenblatt's expressive trumpet adds a bluesy touch to "You Came a Long Way From St. Louis", another tracks where the guitar and piano work stands out. The eclectic program includes several fascinating takes. Ms. Gardner unearths "This Little Town is Paris", a tune by virtually-unknown Milton Schwartz, a catchy melody wrapped in a ballad. Asherie's rich counterpoint rises above the Freddie Green-like guitar support. The pianist shows the influence of Teddy Wilson as he is the lone support on Nellie McKay's honest appraisal of the Big Apple "Manhattan Avenue." The bouncy "Sweetheart (Waitress in a Donut Shop)", recorded by Maria Muldaur as well as Dan Hicks & The Hot Licks, is a fun track with splendid muted trumpet from Greenblatt and tinkling piano backing. Best part of "The Great City" is that Hilary Gardner inhabits each song with a genuine spirit plus an honest voice. She does not force her way through material or add unnecessary filigree. I'd be quite surprised if this engaging music does not brighten your day. For more information, go to www.hilarygardner.com. Here's a fascinating concept - take the music you loved growing up (in this instance, the hits of Elvis Presley), deconstruct it and then put it back together using techniques you have mastered over the year. 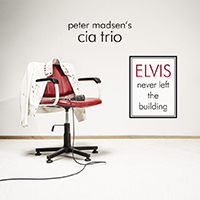 "Elvis Never Left The Building" (Playscape Recordings) is the new recording from pianist Peter Madsen's CIA Trio (bassist Herwig Hammerl and drummer/percussionist Alfred Vogel) - Madsen et al remake pieces such as "Hound Dog", "Jailhouse Rock" and "Don't Be Cruel"" (plus 7 other familiar tunes of the King) in ways that you might recognize the tunes. The bluesy lament "Heartbreak Hotel" becomes an uptempo romp (inspired by both Bud Powell and hip-hop rhythms while "Devil In Disguise" leans more towards "Dr. Faustus" and The Bad Plus than to Elvis. Yet, the CIA (Collective Improvising Artists) certainly sound like they are having a great time re-imagining these pieces. "Can't Help Falling In Love" would not sound out of place on a recording by Keith Jarrett's Standards Trio. The ensemble rampages through "Don't Be Cruel", the rhythm section lighting a fire beneath Madsen and he enjoys burning through the piece. "Hound Dog" has both bite and bark (well, howl to be exact) and goes through numerous changes, from a feeling of deep blues to a funky bass-and-drum section (right after Hammerl's solo) before building to a frenzied climax. If you are a dedicated fan of Elvis Presley, chances are great that you will dislike this music. But, if you love to be challenged and are willing to let your imagination have a field day (as Peter Madsen and company do), then you'll agree that "Elvis Never Left the Building." 3 impressive musicians take this music in myriad directions and do so in a very satisfying manner. All hail Peter Madsen's CIA Trio and, o yes, "Long Live the King!" For more information, go to www.petermadsen.us. 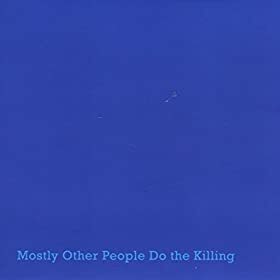 So, what does one make of "Blue" (Hot Cup Records), the new CD by Mostly Other People Do the Killing, a reiteration of Miles Davis's 1959 classic "Kind of Blue"? The 2014 recording is not "kind of Kind of Blue". The Quintet (with Jon Irabagon playing the parts of alto saxophonist Julian "Cannonball" Adderley and tenor saxophonist John Coltrane while pianist Ron Stabinsky has the roles of Bill Evans or Wynton Kelly) plays the 5-track Lp exactly the way Davis and company played it 55 years ago. The original is the best selling jazz album of all times, selling over 20 million copies in its original edition and numerous reissues. Kudos to the band - the 2 mentioned above plus Peter Evans (trumpet), Moppa Elliot (bass) and Kevin Shea (drums) - for reminding those of us familiar with Davis recording just how impressive it was for its time (and ours). Evans and Irabagon must have worked incredibly hard to master the tonal qualities of the musicians whose parts they are re-creating while Shea shows just how under control Jimmy Cobb was throughout the program. We live in a world where people discover music every day, whether it was recorded this year or way in the past. MOPDtK will not tour "Blue" (as it is, Evans has left the group since the recording) so the CD will live as an impressive work of art, one that has already generated plenty of discussion pro and con and will do so for some time. My review is 5 stars for the music, 5 stars for the musicianship and the jury is out on the concept (yet this is some of my favorite music and I really like listening to it.) For more information, go to www.hotcuprecords.com. Yet another week where CT music fans have much to choose from, including a MacArthur Fellow, a NEA Jazz Master, a world traveler, excellent pianists and much more. Pianist-composer Dan Tepfer returns to The Side Door Jazz Club in Old Lyme this Friday (10/10), this time as the leader of his own Trio (he is part of the Rob Garcia 4, an ensemble that played the club this past summer.) Tepfer, who often works with saxophonist Lee Konitz, has a multitude of musical interests, from classical to classic jazz and rock and beyond, all of which shows up in his music. Joining him for this gig is drummer Eric Doob and bassist Chris Tordini. As usual, doors open at 7:30 p.m. and the music commences at 8:30. Saturday, the Side Door presents pianist/accordionist Hector Martignon and his Foreign Affairs Quartet. Like Tepfer, the Colombian-born Martignon plays jazz and classical music (both pianists have rearranged Bach's "The Goldberg Variations") - this desire and ability to cross "over" genres creates music that is exciting and challenging for the avid listener. Besides Martignon, the FAQ is comprised of Roberto Quintero (percussion), Christos Rafilides (vibraphone), Alex Hernandez (bass) plus special guest percussionist Mino Cinelu (Weather Report, Branford Marsalis). The Side Door stage will be filled with shakers, cymbals, keyboards and more. NEA Jazz Master and a true saxophone master, Dave Liebman plays a special Sunday night show at The Side Door with his Expansions quintet. Anchored by his long-time bassist Tony Marino, Expansions also includes the fine young pianist Bobby Avey (who, like the pianists listed above and below, can play just about any style of music and play it well), Matt Vashlishan (alto saxophone, clarinet), and Alex Ritz (drums, percussion). Mr. Liebman has proven time and again over his career, now spanning 4+ decades, that he has no limitations in his music, channeling the spirits of John Coltrane and Wayne Shorter when he plays his tenor and, especially, his soprano saxophones. This should be a very exciting evening of music. The doors open at 7 p.m. for this show only with the music beginning at 8 p.m. For tickets and more information, go to thesidedoorjazz.com or call 806-434-0886. 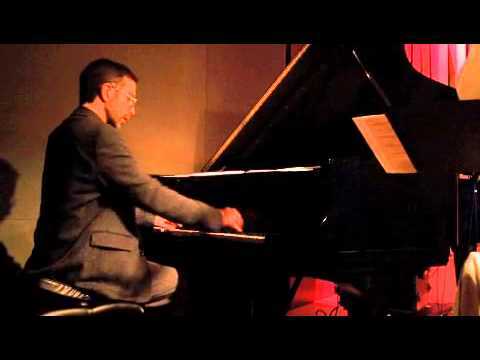 Firehouse 12 in New Haven continues its adventurous Fall 2014 Concert Series on Friday (10/10) with Cuban-born pianist Manuel Valera and his Trio featuring E.J. Strickland (drums) and Hans Glawischnig (bass). Valera has had a very busy few years, releasing several CDs with his New Cuban Express (Criss Cross has just issued "In Motion", an album chock-full of strong melodies and exciting rhythms) plus a great solo piano CD, "Self Portrait" (my review is here). Valera's musical knowledge is boundless, with classical influences from Europe, South America and especially his native Cuba. Yet, he can play montunos, sambas, be-bop and beyond with the best of them. For more information, go to firehouse12.com or call 203-785-0468. 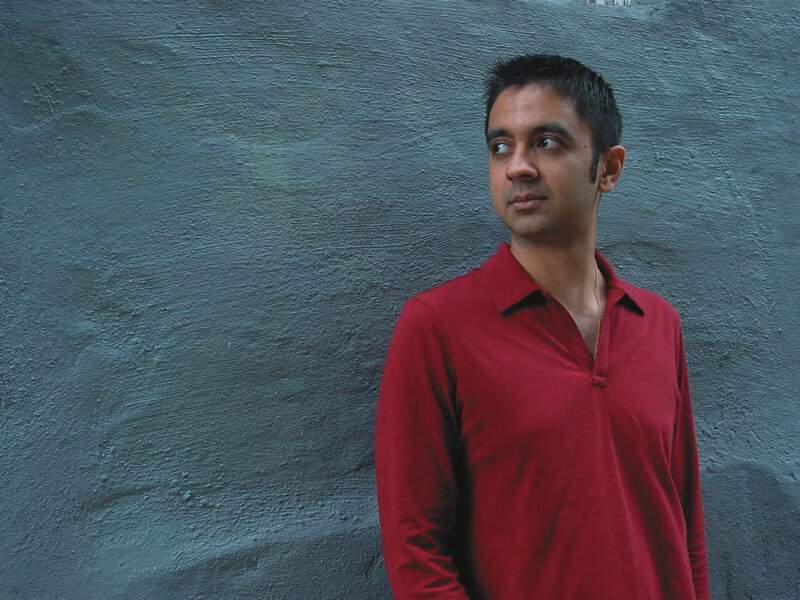 Saturday night, pianist, composer, and conceptualist Vijay Iyer plays a concert at 8 p.m. in Crowell Concert Hall on the campus of Wesleyan University. Joining him will be bassist Stephan Crump and drummer Tyshawn Sorey (who received his Masters in Music from the University in 2011). Iyer, who has toured with Wadada Leo Smith and Steve Coleman (fellow MacArthur Award grantee) and had groups that included Wesleyan grad Steve Lehman (alto saxophone) and poet Robert Pinskey, studied physics in college (Harvard) before moving into the the music world. His work with poet Mike Ladd has been tackled issues such as veterans problems, media and racism. Earlier this year, ECM Records issued Iyer's classical piece "Mutations." For ticket information, call 860-685-3355 or go online to www.wesleyan.edu/cfa. The Uncertainty Music Series presents an evening of duets on Saturday at 8 p.m. in Never Ending Books, 810 State Street in New Haven. Opening the show will be the duo of Anne Rhodes (voice) and Carl Testa (electronics) - following them will be the duo of Brian Parks (compositions) and Janet Simone Parks (dance). Both Parks and Testa studied at Wesleyan (the former with Ronald Ebrecht, the latter with Anthony Braxton) and continue to work and perform in the area (the Uncertainty series is curated by Testa who also is the house manager at Firehouse 12). Drummer/composer Dylan Ryan leads a "power" trio Sand, a hellacious ensemble that features guitarist Timothy Young (Zony Mash, Sweeter Than The Day, Wayne Horvitz) and bassist Devin Hoff (The Nels Cline Singers, Vijay Iyer, Ben Goldberg). "Circa" is the trio's 2nd release for Cuneiform and it's an exciting mash pf sounds. One can hear echoes of the Jimi Hendrix Experience throughout "Mortgage In My Soul" (a Keith Jarrett piece from 1972 on which he played soprano sax and Charlie Haden fuzz "wah-wah" bass!) ) and Neil Young's Crazy Horse in the final half of "Visionary Fantasy." This music moves in fascinating directions - there is a touch of Tony Williams' Lifetime in Ryan's drum work on "Pink Noir" and more than a dollop of surf music blending into the rousing feel of "Sledge Thread" (Hoff's acoustic bass comes roaring out of the speakers. At times, the trio's approach brings to mind the Oregonian alternative instrumental band Pell Mell, especially the pounding drums and hypnotic bass lines - that band often employed 2 guitarists and on "Circa", as far as one can tell, Young rarely overdubs. He employs all sorts of effects, expanding the sonic palette of the band. Dylan Ryan pushes but never overplays. He even sits out "Slow Sculpture", giving Young and Hoff plenty of space to create a ballad that builds up to sustained guitar chords and bowed bass frenzy. 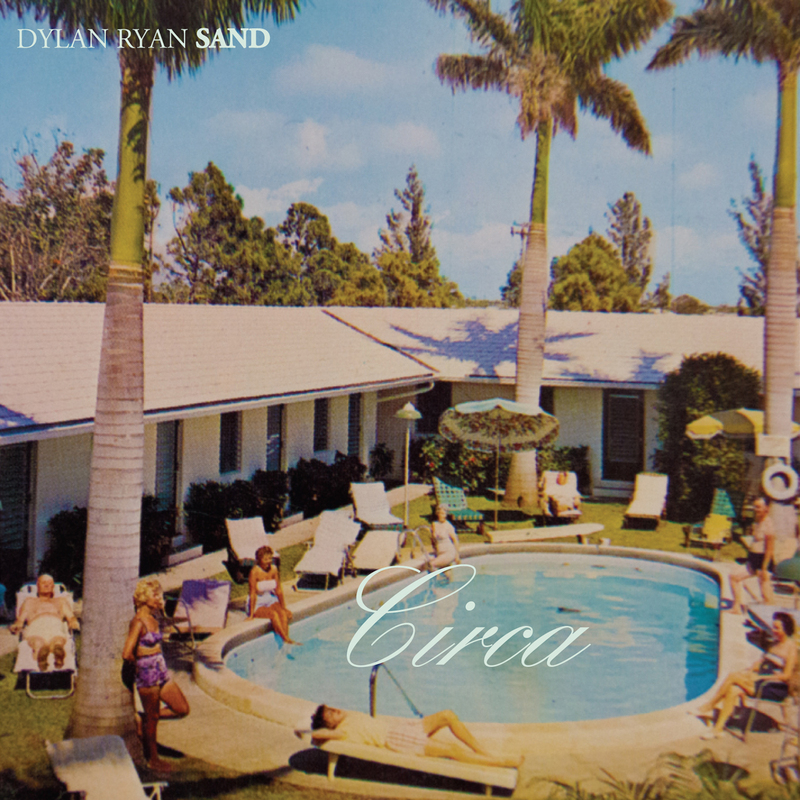 Those listeners who enjoy "prog rock", Jeff Beck, or Jimi Hendrix will find much to enjoy on "Circa" - Dylan Ryan Sand can blast with the best of them, sounding great when you crack up the speakers. Yet, this music does not overstay its welcome, contains both moments where melody stands out and other times when the band pours it on. For more information, go to sand.dylanryanmusic.com.